Captain Daniel Andrews runs fishing charters in the waters surrounding Sanibel Island, Captiva, and Ft. Myers, Florida. Sanibel Island fishing charters are booked from four to twelve hour packages and launch from Punta Rassa, Florida. Sanibel fishing charters, backcountry fishing, and shelling and sightseeing charters are available. Local trophy fish include tarpon, snook, redfish, and seatrout. Captain Daniel Andrews has fished the waters of southwest Florida his entire life and knows the richest fishing spots for outstanding customer experience and loads of fun. All experience levels of fishing are welcomed, and Captain Andrews aims to tailor each fishing charter to your interests. Salwater fly-fishing in the waters of Pine Island Sound is also available for newcomers and veterans. CALL or TEXT 239-989-9352 to book your fishing charter or book your Sanibel fishing charters online. Book your Fishing Charter with the Right Guide! Captain Daniel Andrews, a Southwest Florida native, grew up fishing and boating the waters of Pine Island Sound. Daniel knows this area like the back of his hand, and will know where to take you to get you on the best fishing Sanibel, Captiva and Pine Island Sound have to offer! Captain Daniel knows the only thing as important as catching fish is having a good time during your fishing charter. Your captain’s priority is making sure you have fun from the time you step on the boat to the time you step off. We’ve heard too many horror stories of “grumpy captains”- that’s not Captain Daniel! Captain Daniel has everything you need on his boat for a successful day on the water, including rods, reels, tackle, fishing licenses and a cooler full of ice and bottled water. The charter boat is fully rigged and outfitted with all of the Coast Guard required safety gear. All you need to bring is a hat, sunscreen and sunglasses! Captain Daniel is a passionate outdoorsman, and has dedicated much of his time to protecting Florida’s estuaries. Daniel founded the charity Captains for Clean Water as a way of giving back to the community, and improving the health of the estuaries that are a driving force behind Florida’s economy. Captains for Clean Water is a leading organization in the fight to save Florida’s Everglades, and reduce unnatural discharges to the Caloosahatchee and St. Lucie Rivers. Captain Daniel is also an avid photographer. His photography has appeared in Saltwater Sportsman, Florida Sportsman, and several other outdoor publications. Daniel loves taking photos- especially of jumping tarpon. He will send you photos of your fishing trip at the end of the day. When is Best Time of Year to Fish? Sanibel Island offers an incredibly diverse, year-round fishery. We can have excellent fishing any day of the year. Below is a summary of what fishing is like during different time periods throughout the year. While our primary target species are tarpon, snook and redfish on sanibel island fishing charters, we catch many other species including seatrout, cobia, snapper, grouper, tripletail, sharks, false albacore, and many others! January – February: Fishing in the “winter” is mostly for Redfish and seatrout, with an occasional snook in the mix. However when we have warm weather, we often experience some awesome snook fishing this time of year. Fishing is generally good all day during this time period, but afternoons tend to be better if the weather is cold. March – mid April: Fishing during the spring is generally very productive. Snook are leaving their winter haunts, feeding heavily on their way to the beaches for their summer spawn. This a very busy time of the year for Sanibel fishing charters, so be sure to book your charter as far in advance as possible! Mid April – June: Captain Daniel exclusively fishes for tarpon during this time. In order to be a successful tarpon guide, you need to be on the water every day chasing these awesome fish. The tarpon migration generally arrives at Sanibel Island sometime in April. 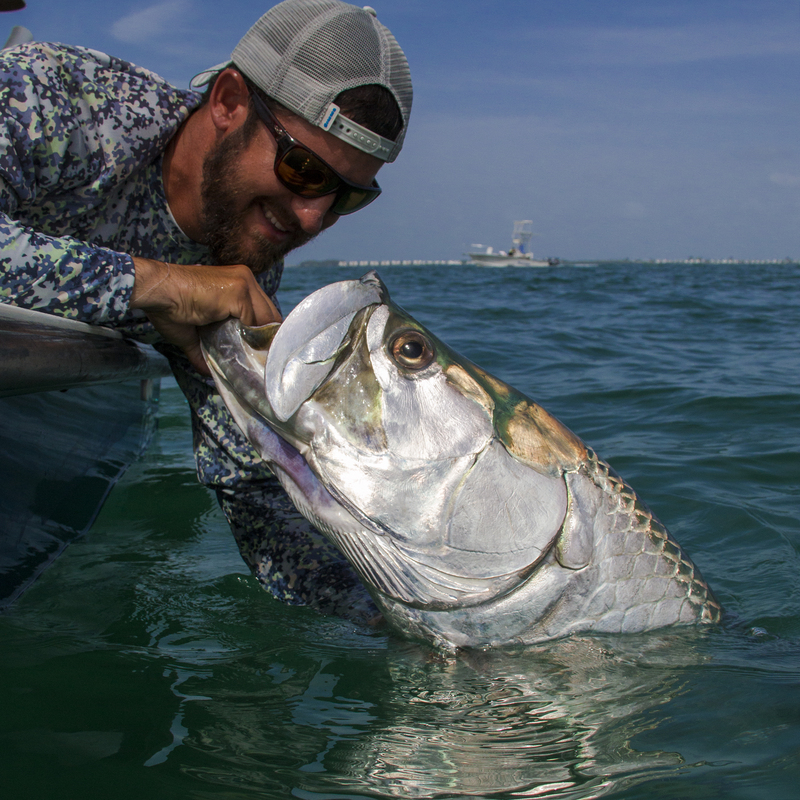 We fish for tarpon using a variety of tactics and bait, depending where the fish are at and how they are behaving. The baits of choice are live blue crabs and threadfin herrings. If you are a fly angler- your best opportunities will be from late May through June. This is by far Captain Daniel’s favorite time of the year to fish! July – August: During this period, we are mostly targeting snook in the passes, and sometimes tarpon off the beaches. 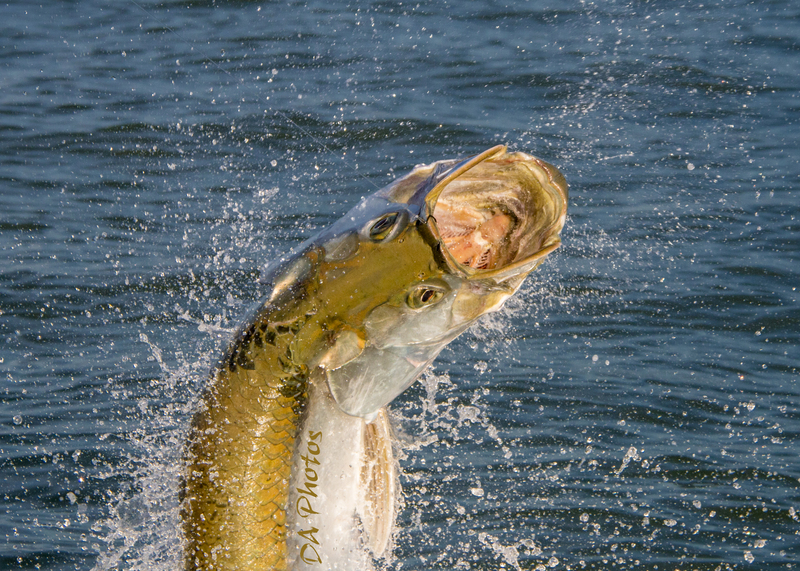 If weather conditions are ideal, we can experience some of the best tarpon fishing of the year during this time. There are very few other boats on the water in search of tarpon, so we often have the fish to ourselves. Pass fishing for snook can be very productive. If you are a fly angler, this is an awesome time of the year to go on a night fishing trip for snook in the dock lights. September – mid November: Awesome fishing! This time of the year provides us with ample opportunities to catch a wide variety of species around Sanibel, Captiva and Pine Island Sound. We have schools of redfish on the flats, plenty of snook on the beaches and in the backcountry, as well as tarpon off the beaches. Fishing is changing a lot as fall approaches, each day bringing us new opportunities. If you’ve never been to Southwest Florida in the fall- you’re missing out! 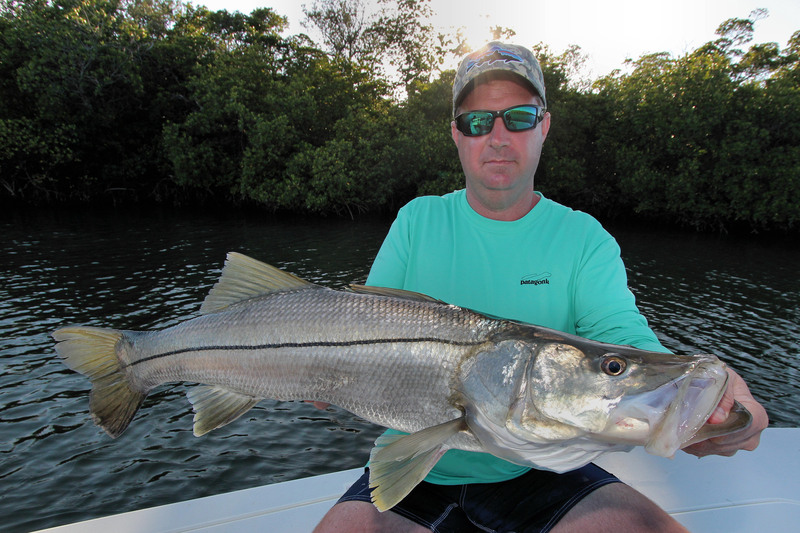 Mid November – December: After the first few cold fronts roll through, the snook will make their way into the creeks and protected bays. Fishing is usually good this time of year, dependent on the weather. 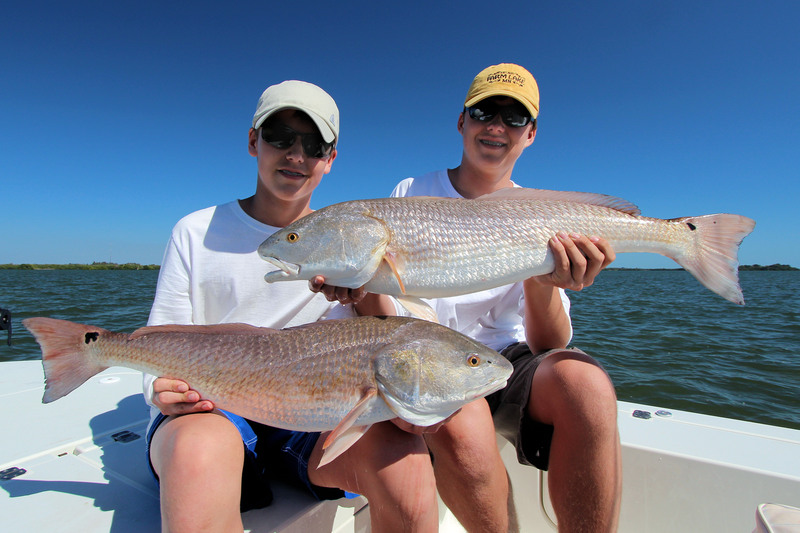 Redfish and big trout are on the flats and in the bays surrounding Sanibel and Captiva.